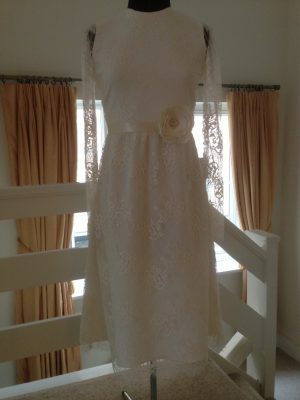 Marilyn CoutureBespoke handmade wedding dresses. Jo came to me with lots of ideas about her wedding dress. 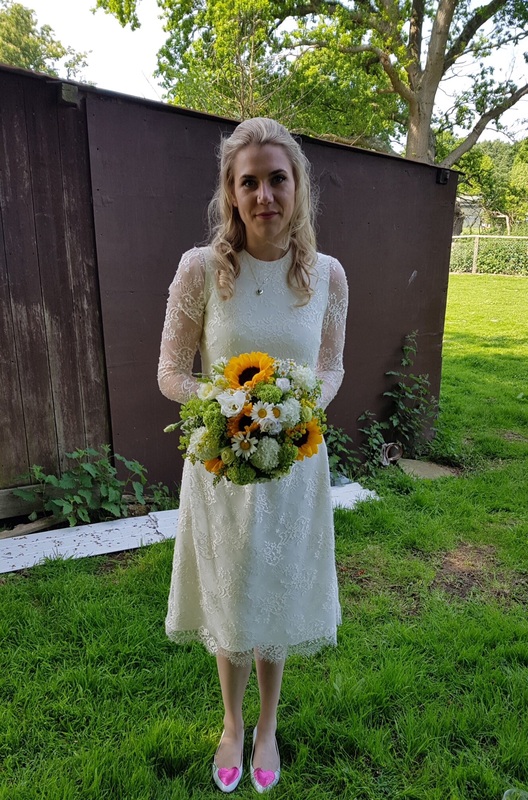 She did not want a conventional wedding dress, in fact she liked a dress she had in her wardrobe so much she wanted the design to be quite similar. It was a knee length waisted straight dress with long cuffed sleeves. We decided to add a little extra width to the skirt to create a more floaty look. 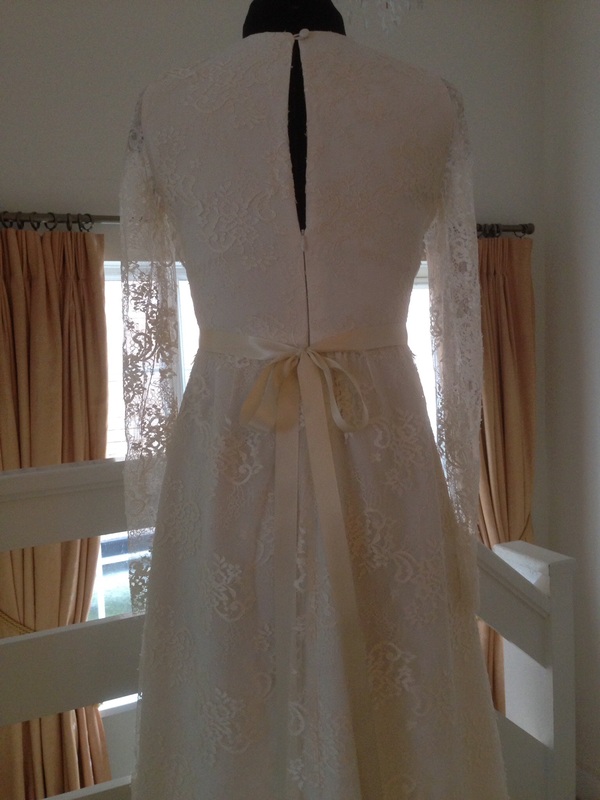 Jo chose a beautiful French leavers lace in a cream colour to go over a luxurious heavy weight silk marocaine crepe. Lace has such a romantic timeless quality. One layer of lace fitted to the body is all it takes to evoke a feeling of timelessness. The classic slim fitting, slightly flared style with a scalloped hem was the look Jo was after. The look of lace over skin for the sleeves with a scalloped edging creates a lovely flattering and feminine look. The silk marocaine crepe is an exquisite fabric and is amazingly soft to touch and drapes beautifully for softer floaty styles. 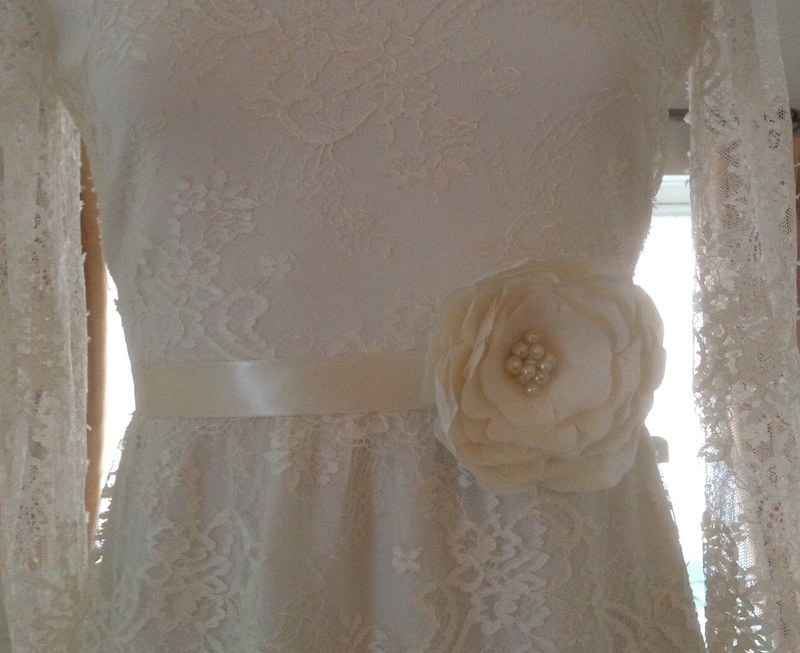 A satin ribbon sash with a cabbage rose and pearl centre completed the look. 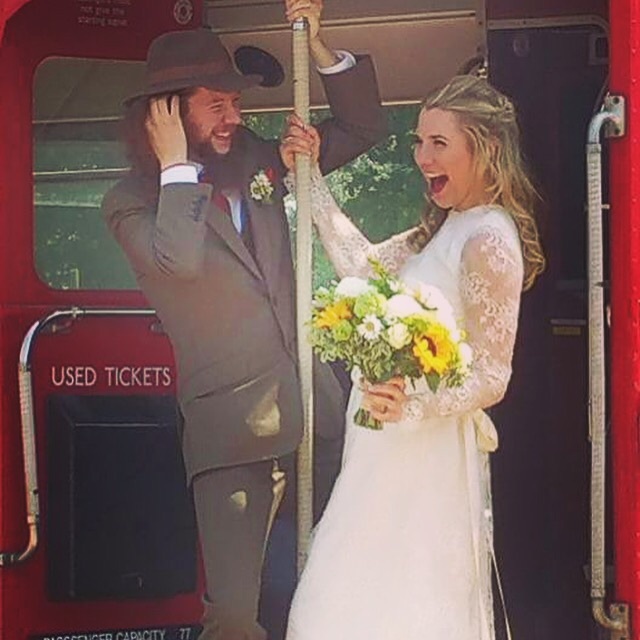 I just wanted to say a big thank you for making such a beautiful wedding dress. It was exactly what I wanted and I felt so comfortable in it all day. I had so many comments about what a gorgeous dress I was wearing and how it was very me, so it was perfect. I couldn’t recommend Marilyn enough. She was able to bring my idea to life and seemed to know exactly what I wanted for my wedding dress. It ended up being the perfect dress for my big day! The process from first designs to finished dress was so easy and completely stress free. The only difficult part was choosing the fabric and lace, Marilyn had so many beautiful samples, I just couldn’t decide between them! 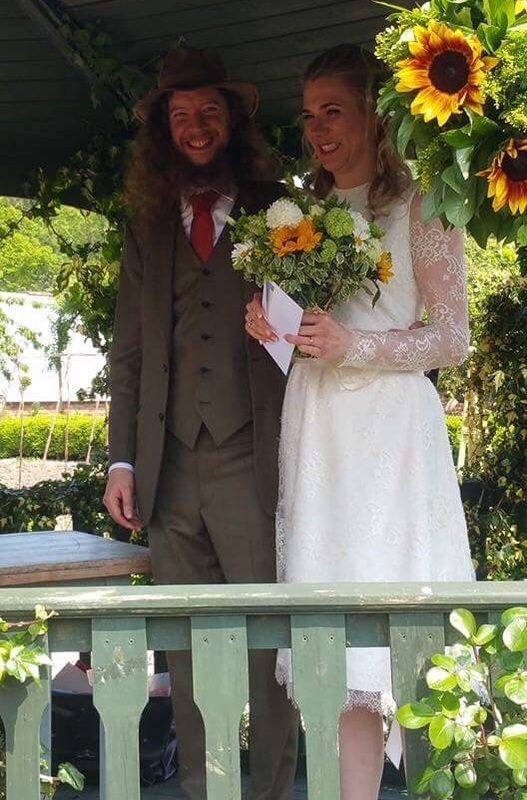 I just wanted to say thank you for my beautiful dress, everyone said it looked lovely and said the colour was gorgeous and suited me. I will be contacting you soon to see about another dress. Thank you so much for all your kindness as well. Thank you for an amazing outfit for my sons wedding, it was a massive hit with all the family and guests. My pose has not done it justice but I got a lot of “gosh you look stunning in that beautiful outfit”. You did amazing Marilyn. Thank you so much for taking up a difficult challenge at short notice too. I just wanted to say thank you so, so much for creating such a beautiful wedding dress. We had such an amazing day. Everyone complimented me on how beautiful and classy my dress was, and how stunning the colour, lace and design were. Thank you for designing and making the most beautiful wedding dress and veil for me. It was like a dream and so much fun to get to choose the lace and material, draw the dress out on paper, and see it come to life. A huge thank you for my beautiful dress, you are so incredibly talented. I got so many lovely compliments all day… it fitted perfectly and was very comfortable for lots of dancing. Thank you, it was perfect. I couldn’t recommend Marilyn enough. She was able to bring my idea to life and seemed to know exactly what I wanted from my wedding dress. 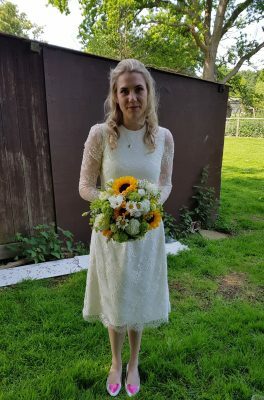 It ended up being the perfect dress for my big day! The process from first designs to finished dress was so easy and completely stress free. It was exactly what I wanted and I felt so comfortable in it all day. I had so many comments about what a gorgeous dress I was wearing and how it was very me, so it was perfect. Thank you for my beautiful dress, it was amazing to see the dress that I had imagined come to life. 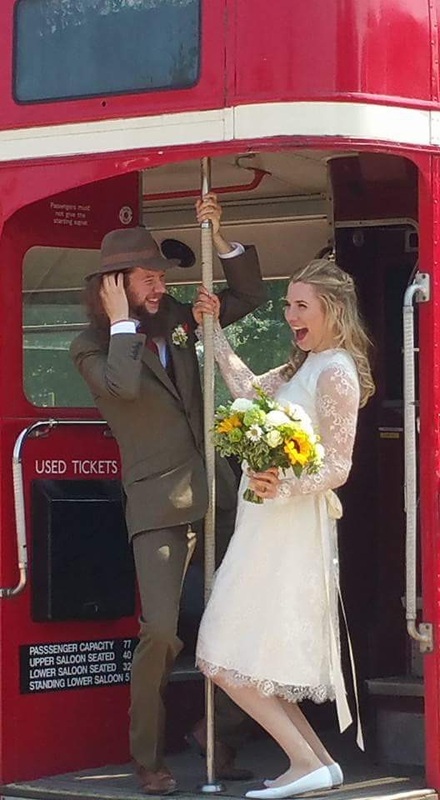 I couldn’t have asked for anything more perfect and so many compliments, even from people who have only seen the photos. I just wanted to say a big, big thank you for my wonderful dress. Your design ideas were so helpful. I really enjoyed working with you, thank you for making the whole process so much fun, your helpful and friendly approach was so appreciated by me and my mother. I can’t thank you enough. Thank you so much for making my amazing dress. The finished dress was exactly what I wanted. 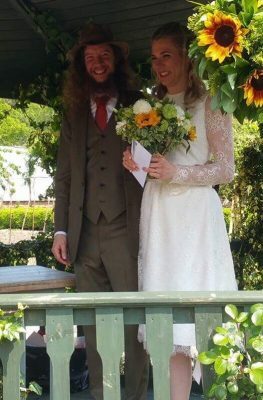 It was wonderful to have a dress made to fit me and to be involved with the design. The dress is so beautiful, I will treasure it forever.